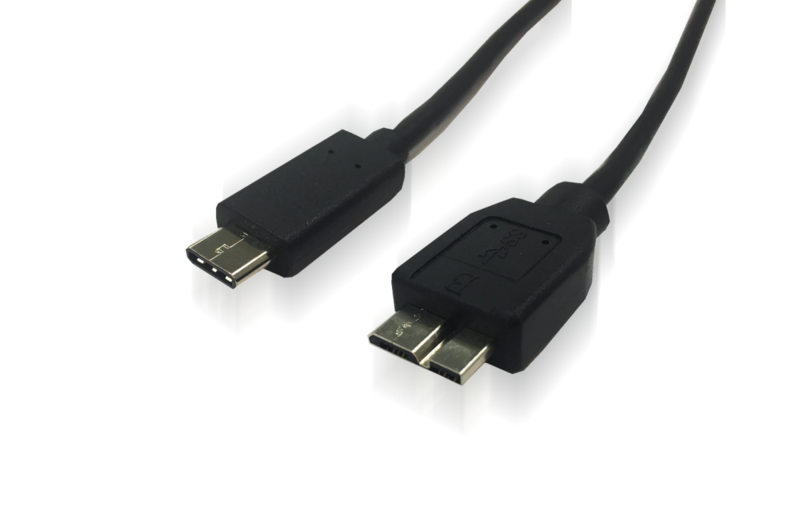 The USB Type-C to 3.0 Micro-B cable is designed to connect a USB3.0 Micro B-enabled external hard drive, smartphone, or tablet to the new release computers with USB Type-C connector. It allows you to charge Micro-B devices, as well as sync, transfer your data, photos and music to a USB-C enabled device. • Connects a computer with a USB Type C port to an external hard drive, smartphone or tablet with a USB 3.0 Micro B port. Transfer files from a portable USB 3.0 hard drive or sync data from your smartphone. • Compatible with 2015,2016 MacBook, Google Chromebook Pixel, HP Spectre x2 / Pavilion x2 , Lenovo Yoga 900 13 inch, or ASUS Zen AiO PC. • With a flexible cable, sturdy construction, and USB connectors with molded strain relief for frequent unplugging; Fully shielded to provide superior transmission performance and protect against EMI/RFI noise; Reversible USB Type-C connector clicks into place for a snug and secure connection.